From the Group D, Iceland vs Croatia match scheduled to play today on 26th June at 21:00 Local time. Croatia standing at the first position in the table with six points by winning two games against to Argentina and Nigeria. Today’ match is the first encounter for these two teams in the major competition. Early in the World Cup Qualification, both of these two teams have won each of their home fixtures. As mentioned early above, this is the first time for Croatia who has two consecutive winning games in the World Cup since 1998. 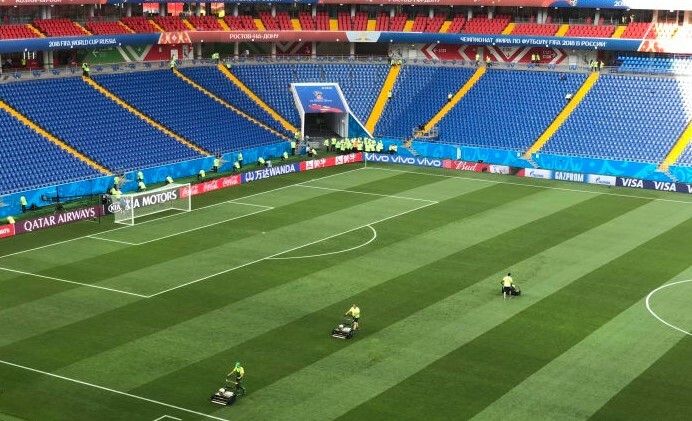 Rostov Arena is the today’s venue for this match, Iceland vs Croatia. Iceland also looking to make the biggest history in their nation’s World Cup career to qualify for the next stage. Iceland Starting XI: Halldorsson, Saevarsson, Ingason, R Sigurdsson, Magnusson, Gudmundsson, Gunnarsson, Hallfredsson, Bjarnason, Finnbogason. Croatia Starting XI: Kalinic, Jedvaj, Corluka, Caleta-Car, Pivaric, Pjaca, Modric, Badelj, Perisic, Kovacic, Kramaric. If Nigeria lost their game against Argentina on another match, and also Icelanders need their victory to get in the Knockout round. However, this match to be the seventh different meeting between Iceland and Croatia. Ragnar Sigurdsson, Johann Berg Gudmundsson is in doubt to play this match for Iceland. Ivan Rakitic, Ante Rabic, Sime Vrsaljko, Mario Mandzukic, Marcelo Brozovic and Vedran Corluka will not be available in this match due to ban. Prediction: Croatia will be the winner of this match, according to the stats of Google Winning probability. But, Charlie’s prediction said that this match will end with the final result score of the 1-1 draw. It is the biggest news that smaller nations creating big headlines on their recent matches. Follow FIFA.com official live blog for Iceland vs Croatia Live score and live commentary. What makes Ras Al Khaimah a Traveller’s paradise?